There are a lot of options for iPhone cases these days. My current favorite is the Recline by NXE. 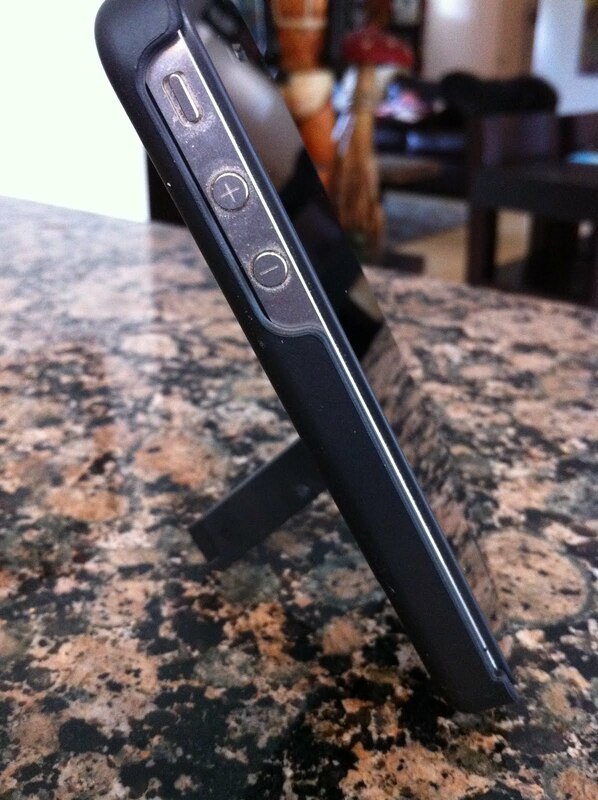 It's an ultra- slim black matte plastic shell with a built-in kickstand. It has elegant cutaways for ports and buttons, plus a plush lining to pamper your phone. Simple but beautifully effective for both horizontal and vertical viewing. I love the way the Recline feels– it has a soft, almost rubbery texture that makes it easy to hold on to. I carry the model with the pink kickstand and Bob prefers the all-black version. In accordance to the FTC Guidelines and WOMMA Code of Ethics, I am disclosing that I received product samples to facilitate this review. As usual, though, all thoughts are my own. To enter and win a Recline in black with a red kickstand, please comment on this post with your favorite item from NXE. Entries will be accepted through May 4th and I'll pick the winner using Random.org. US/CANADA readers are eligible. My favorite is the iphone4 case in black with the kickstand. I like the Vector (Universal) case!!! I just liked Superdumb Supervillain on Facebook!! !